CASA is taking on the vexing problem of carry-on baggage in aircraft cabins, and its effects on safety. Cabin Safety Bulletin No. 8, published this month, discusses the potential effects of carry-on baggage as a concern in aircraft evacuations, and as a weight-and-balance issue on smaller aircraft. 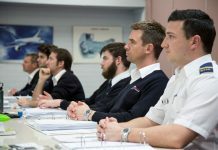 It provides information to be considered when operators are writing their carry-on baggage policy and procedures, and developing cabin crew training. 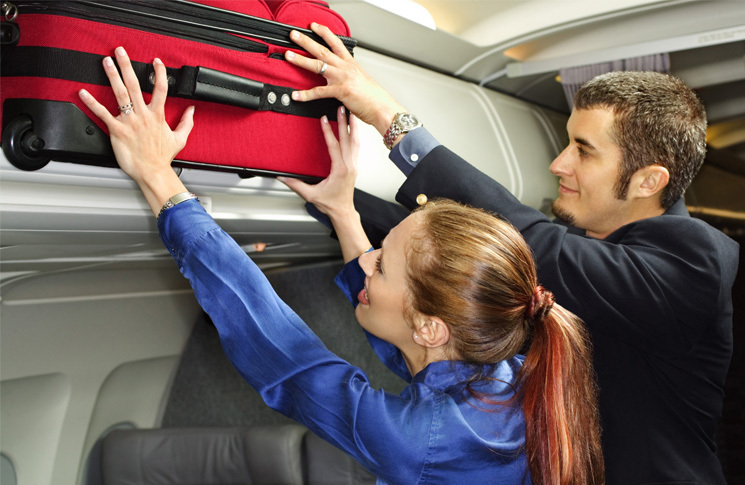 ‘Evidence from aircraft accident investigations conducted since 2013 has shown that significant numbers of passengers attempt to take carry-on baggage with them during an emergency evacuation. Such behaviour can present significant hindrance to egress, injury to passengers and crew members, and damage to aircraft safety equipment such as evacuation slides,’ the bulletin says. Dimensions of the issue include the tendency for some passengers to attempt to take their carry-on baggage with them in an aircraft evacuation, and the additional problems posed by excessively large or heavy carry-on baggage items. ‘Despite crew members repeatedly instructing passengers to leave carry-on baggage during an emergency, this information is provided at a time when passengers are highly stressed and the noise level in the cabin high. These conditions do not allow for understanding or adherence to safety-critical information. Non-compliant carry-on baggage is likely to only add to difficulties under these conditions,’ the bulletin says. It outlines issues and procedures that should be covered in operator carry-on baggage policies, and in cabin crew training. Having flown on both domestic and international flights in recent times I can comment on carry-on baggage with some authority. I am amazed at the size, weight and number of carry-on bags that passengers continue to get away with. There are wheeled suitcases that from the struggle to get them into the overhead locker are both oversize and over 7kg. Then there was the guy who left an international flight with no less than seven carry on items. It would appear that the basic rules of size, weight and number of carry-on bags are being ignored. I have seen passengers with small bags unable to get their bags into an overhead locker above them because other passengers with several bags have taken all the available space above that seat. All this represents a safety issue for one and a lack of consideration for others. I am of the view that the airlines need to publicise a tightening up on carry-on bags and then carry out a more stringent check of those bags. Recently the Royal Aeronautical Society released a major paper that assessed cabin safety threats. One of the recommendations is to issue a fine to passengers who take their luggage with them in an emergency. Of course, passengers will always argue that personal valuables and medication are in their (often large) bags and as a necessity will ignore the instructions given to them, even if there is a chance that their actions will endanger another passenger. 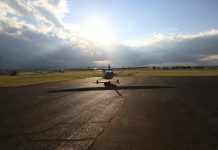 As far as lawsuits for alleged non compliance is concerned however, I am sure that CASA have far more appropriate things to allocate their time and resources to, and a member of the flying public will certainly be spending millions fighting the legal representatives of a behemoth airline to really achieve what? Airlines are focussed on achieving company metrics as far as customer satisfaction and loyalty are concerned in an extremely competitive, time focussed and volatile industry with tiny profit margins. So ask yourself, now armed with that information that is truly a scratch on the tip of an iceberg but still poignant, how would you fix that problem? Regards, also frustrated cabin crew member.